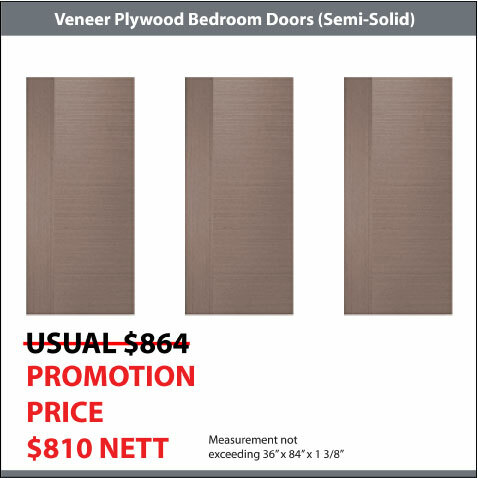 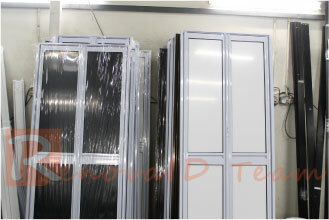 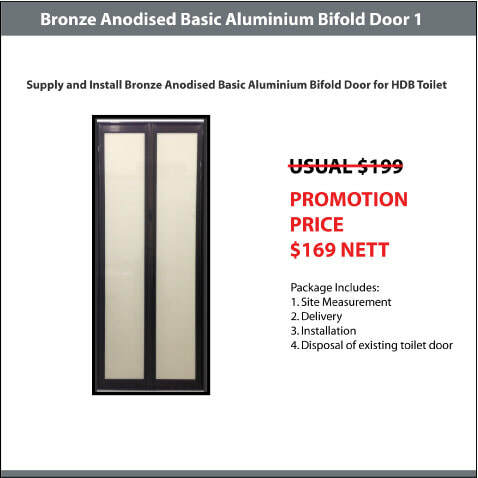 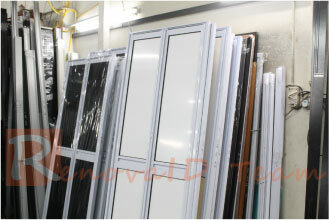 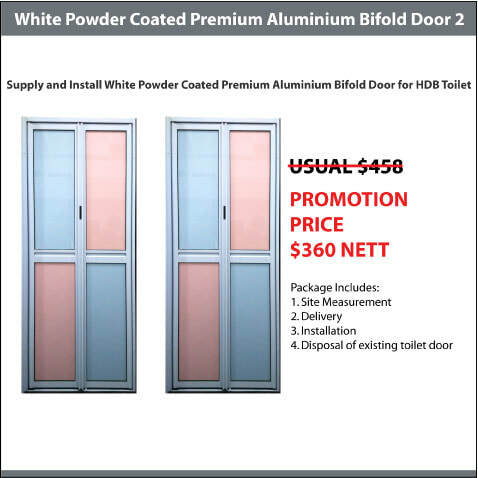 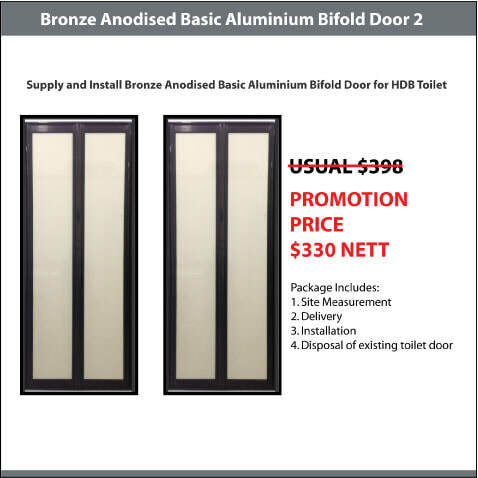 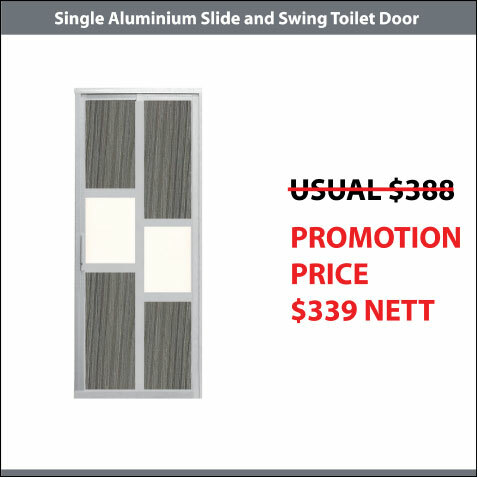 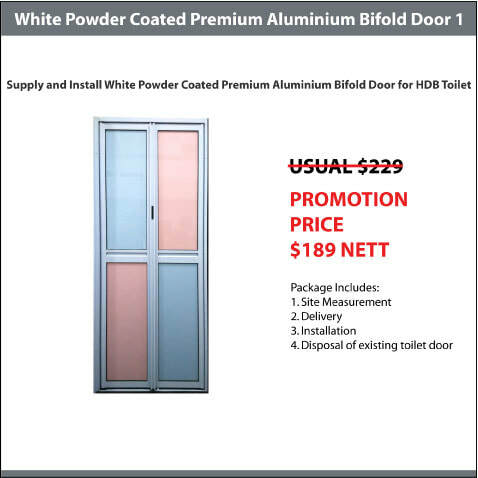 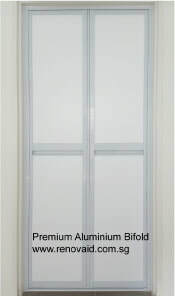 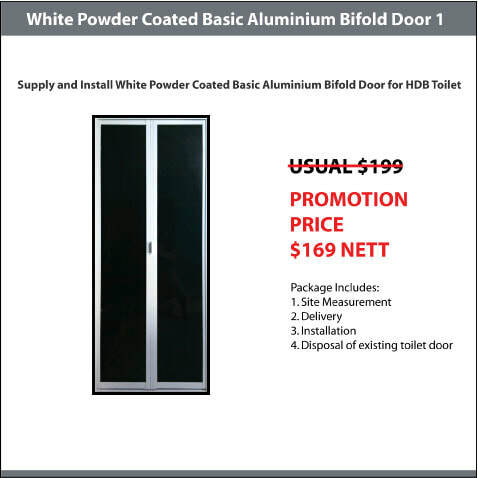 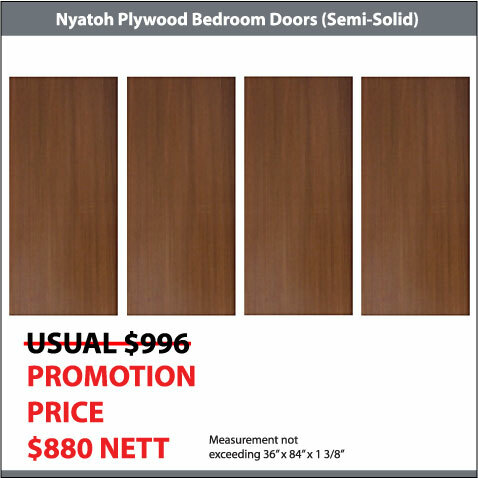 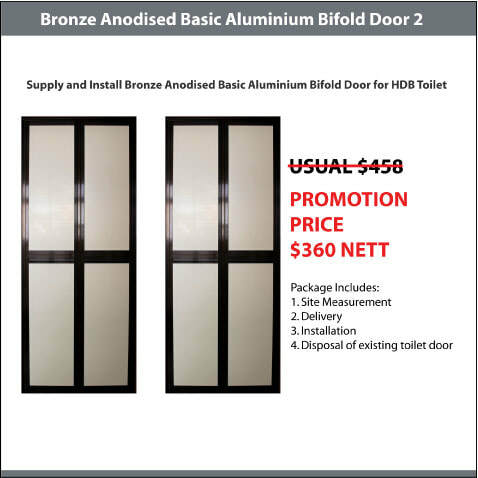 Toilet Doors Replacement like Aluminium Bifold Door is always a best choice for toilet door in Singapore. 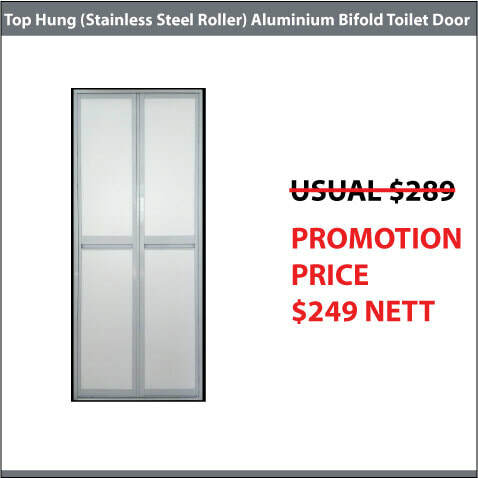 Our Aluminum Bifold Door is made from Aluminium, Acrylic Panel and Telfon Roller which will guide the bifold door along the bottom track as it folds into half. 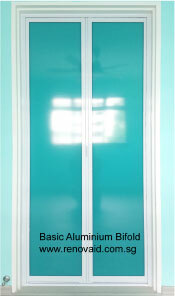 Aluminium is known for its water resistant that it will not rust or corrode when it get soak/ contact with water (unless it has been oxidised). 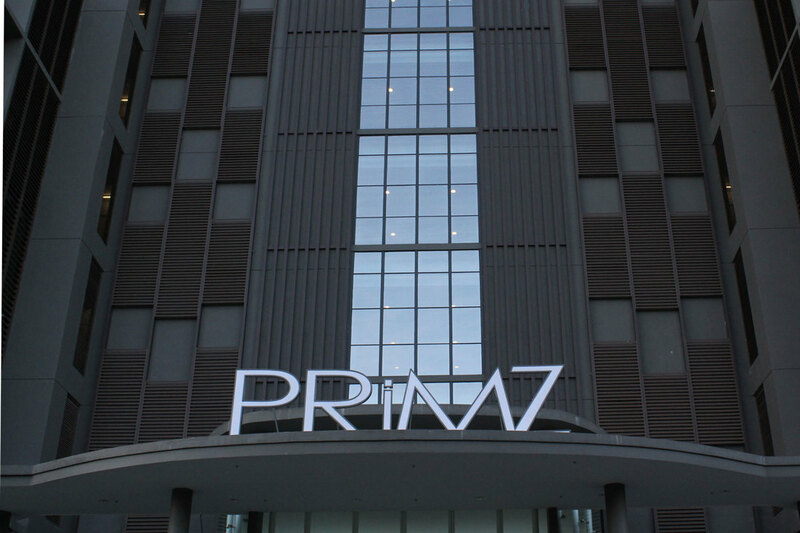 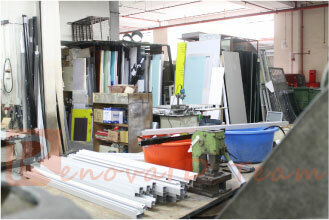 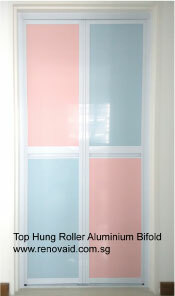 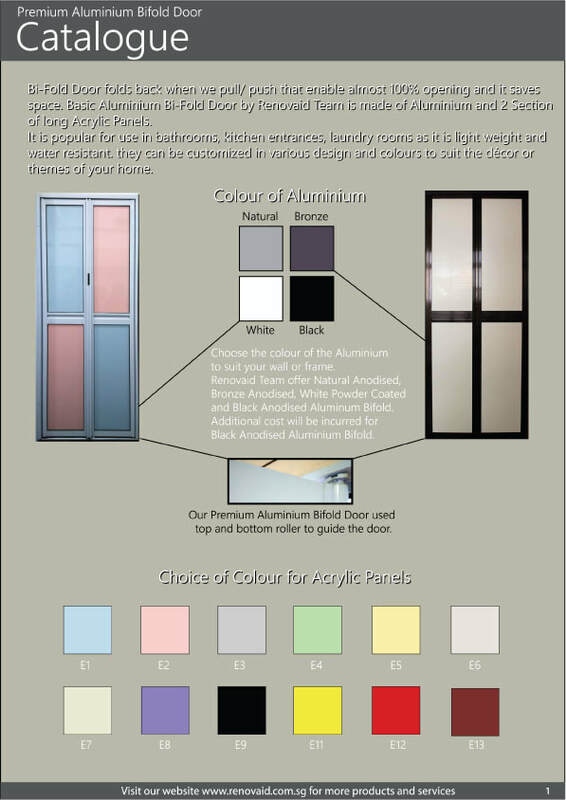 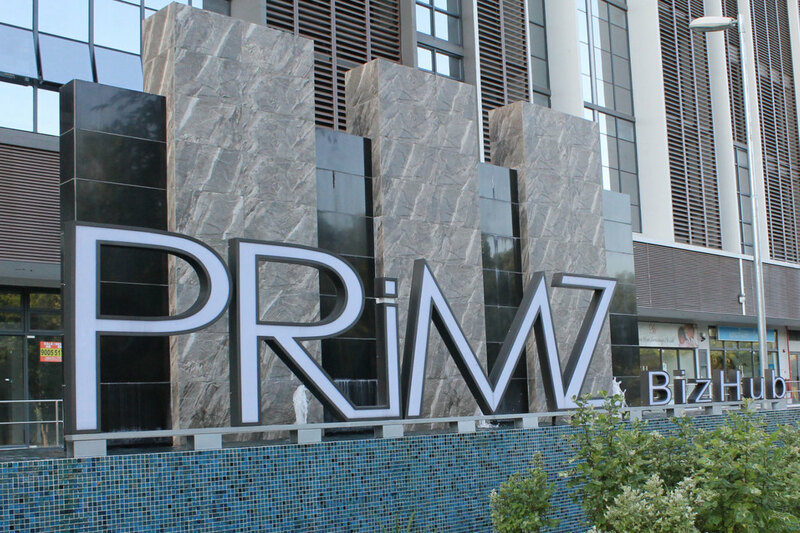 We provide many colours of acrylic panels for customer to select and blend into their theme house. 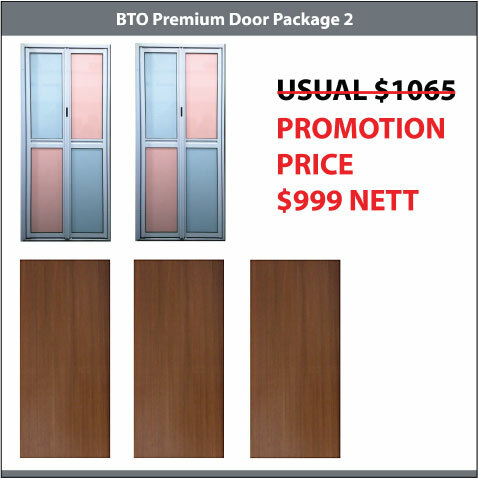 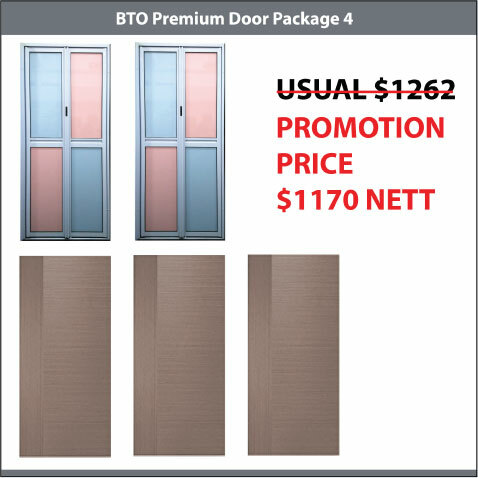 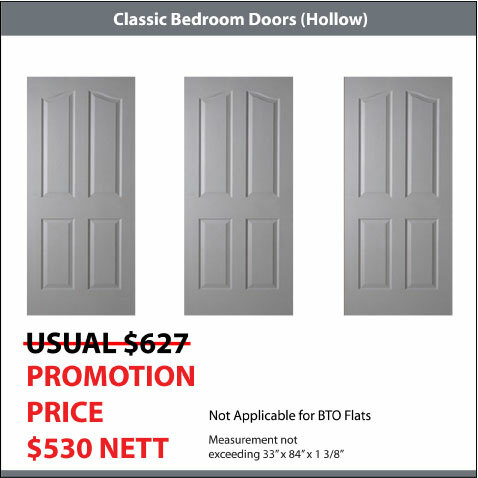 With proper maintenance and usage, many BTO home owners will understand why aluminium bifold doors will definitely last longer then wooden doors. 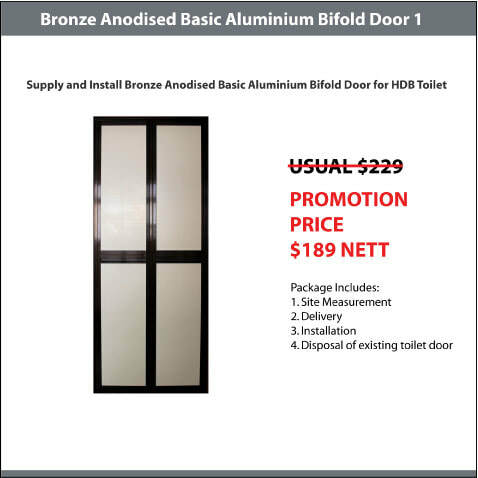 Aluminium BiFold Door saves space for our small and limited space in the toilet of HDB Flats . 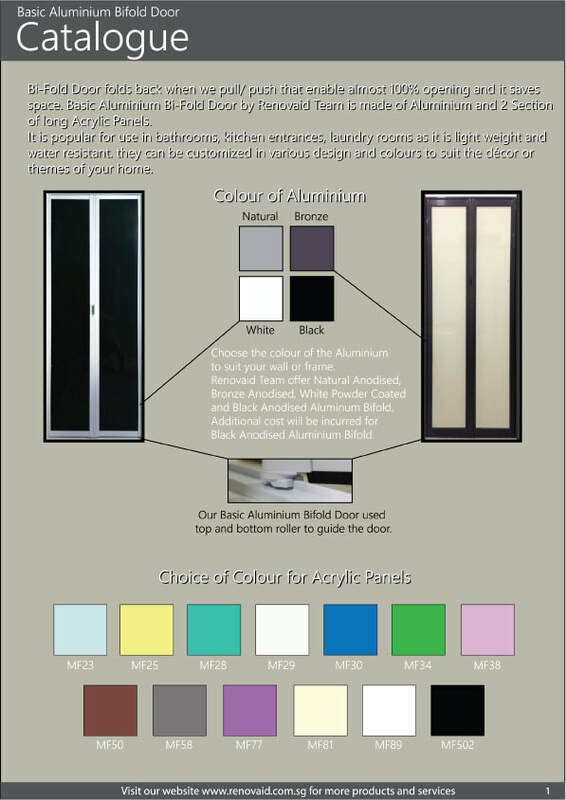 Aluminium Bi-Fold Door do not need the floor space like a traditional wooden swing door required, for opening and closing. 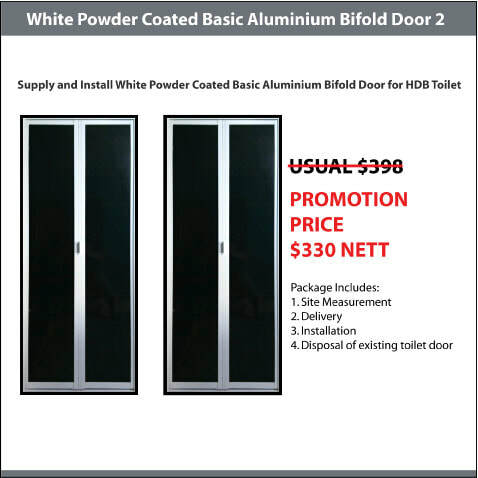 When we compared Aluminium Bi-fold door with Aluminium Sliding Doors or Traditional Wooden Doors, Bi-Fold Door is more effective and efficient as it fold back when we pull/ push that enable almost 100% opening.